Can people truly come together and unite? Unifier Festival is clear about the intentions of the festival. Clear definitions help set the tone for the festival. From the website: “Through sharing wisdom, ideas, dancing, singing, painting, sharing a story, poem and song, balancing our minds, our hearts and our bodies, and honoring nature, ourselves and one another, we come together without excuse to share our beauty.” The festival is about uniting, creating an inclusive culture, and bringing together all for the “Earth and future generations”. Unifier is an “incubator for a new Earth-honoring culture” and overall a diverse inclusive inspirational music festival that is held in Tolland, MA. I am honored to have the opportunity to cover this amazing festival and am moved by the inclusiveness and hope in humanity it restores for me. This is my second year at Unifier and I was honored to provide LGBTQIA education including information regarding gender variance of all kinds. When the organizer welcomed the idea of having sacred rainbow space I was excited to make it happen for Unifier. DiversiTree was in full force with a Rainbow Alter, educational materials and even collaborated on a project with the Art Gallery. Collaborating with Veronika Rose her bio goes like this “Orlando based visionary artist, Veronika Rose creates art based on visions and dreams. This self-taught artist has been painting since she returned from Iraq as a military journalist with the Marine Corps in 2005. She uses art as a healing tool and encourages others to create in whatever form feels best.” At Unifier she helps manage the art gallery. So after the tragedy in Orlando, it was easy to unite with another compassionate soul on a project for the Orlando community. Together, we helped to inspire the Unifier community to express their healing energy through the rainbow alter and art for Orlando. Throughout the festival people stopped by to make offerings at the Rainbow alter as well as painting the artwork. It was a community project to help show our support, love, and compassion for the Orlando community. We also recognize that projects like this help unite us during such a scary time. This type of unity can help us heal the fear and loss. Our project, a small part in the larger community that has overwhelmed the Pulse club with outcries of love. Together all of us are uniting against violence. One of my favorite pieces of Unifier is the Ceremonial Fire Circle. I feel the circle at Unifier is a taste of the fuller Fire Circle event like Forestdance. I feel like this fire circle helps new people get a taste of what the experience is like and a basic understanding of the magic. Jason Cohen, the event organizer, guided us gently into improving the space in order to include all the later arrivals that where sure to arrive when the concerts ended at the wee hours of the morning. Jason and Bright Hawk, a handpan player and djembe drummer, with over 20years experience in fire circles around the world, were very appropriate and educational for more of a casual spiritual circle. I feel like this fire at Unifier is the time to help those that haven’t experienced a sacred fire. It gives seekers a chance to get a good taste of its medicine. The experience of dancing a three night fire is different than a one night fire. Although there is certainly an experienced home team there, that do 3 night fire circles every year, there are also many fresh players at Unifier. I feel like as a more experienced fire person I am gifting what I learned when I was first exposed to fire circles. There is etiquette and a sacredness that they don’t understand at first but with so many leading by example they are easier to learn and engage in our “experiment” as Jason called it. The experiment was simply arriving authentically, completely in the moment, and engaging in ecstatic dance/music around the fire. All are welcome and its more fun when everyone knows how to play the game. I thought Jason and Bright Hawk really explained the basics for a fire circle for new people in a very gentle, thorough, and easy to understand words. Using words we could all understand and relate to as well as explaining the guidelines and including the reasoning around them. The fire went all night with only a light sprinkle that simply cleansed the vibrations for everyone to plug in a little deeper. Some people go to bed earlier and others stay up till dawn. For certain this was not the “choir” and I was proud that Jason and Bright Hawk weren’t “preachin’ to the choir”. Everyone has to have a first experience and I felt like both of them did an excellent job of making it easy to understand as well as thorough so that the community understands how we were all playing together. I was proud of this fire… I felt like it honored the wisdom of experienced players but also provided space for new people to try out the experience. I appreciate the desire and evolution to a diverse and unified community at Unifier. This year there were more women of color. I also noticed more gender variant people and openly queer people. I was proud to see numerous women of color in the staff and behind stage. I met one young woman of color that was happily enjoying the event after her service in helping to build the stage. There are concerts throughout most of the event along with an inspirational band known as Incus. 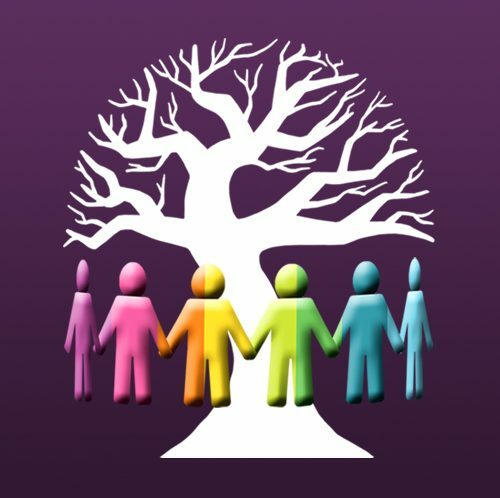 Importantly for DiversiTree I am always looking for those of us that are not as well heard, so I get really excited when I see groups like “Women of the World“. Ms. Debo Ray carries a gorgeous tone with her voice and a presence that inspires unity, confidence, and compassion. Ms. Debo Ray’s stage presence on stage is as impressive as the vocals that flow from her heart. She carries a presence that inspires me to step into my own divine path. She is humble, pleasant natured, generous, and compassionate. I was honored for the opportunity to interviewing her. Bright Hawk, who is partnered with a gender non-conforming person and would self identify not only as an ally but as a pansexual feminist. She is a well known djembe drummer and Hang PANArtist who was one of the several female drummers to emerge from the women’s drumming movement of the “Earth Drum Council” Bright Hawk’s presence in the fire circle is only part of her amazing talents. She plays djembe and the Hang PANArt in a variety of settings at Unifier. Her spiritual presence is most apparent when you spend time in the magic fire circle with her. Bright Hawk is well known for her amazing percussion abilities and her gorgeous music on the hand pan, Hang PANARt. Here is Bright Hawk playing with “Women of the World” at Unifier 2016. Although Unifier is still improving on the Diversity part of their festival I seen growth and agree with Debo Ray that the festival is on the right track. An inclusive community that has a little of everyone AND treated fairly is an inspiration many of the older festivals could take a lesson in. Good Job Unifier at an improvement in diversity in 2016!